Learning can be so much more engaging with interactive technology. These interactive projectors are cost effective solutions that have become more responsive, accurate and easy to use since there inception. 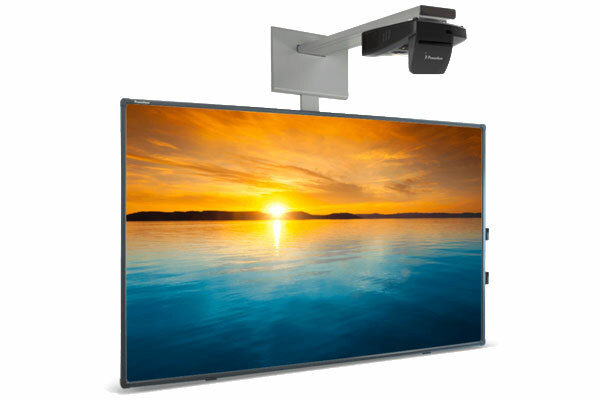 Advanced Classroom Technologies has partnered with the industry leaders in interactive projector technology (Epson and Boxlight) to deliver comprehensive solutions to the school districts we serve. With many different options available to choose from, our team of educational consultants can help find the right interactive solution to suit every classroom's need. The P12 interactive projector line gives you Boxlight’s best and largest possible learning and collaborative area for your classroom, with images as large as 140 inches diagonal! 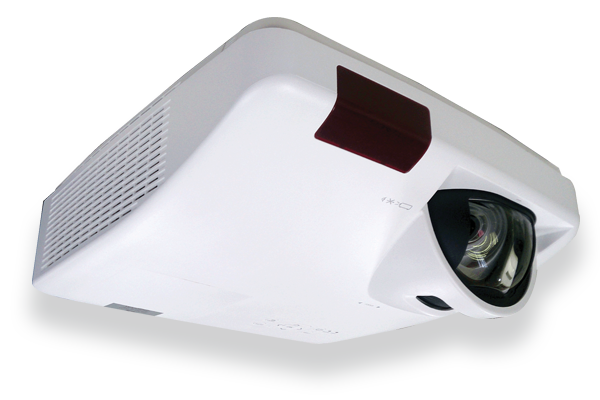 The P12 ultra-short-throw projectors provide 10-touch interactivity or you can choose a pen-interactive model. If you select laser illumination, you will save both time and resources—there’s no lamp to fail or change, and an expected 20-year laser lifespan. Providing multi-user interactivity through simultaneous touch points, computer connectivity for collaborative learning, and an ever present dry erase surface, interactive white boards (IWB) provide optimal viewing space and change the way teachers use their front of room space. 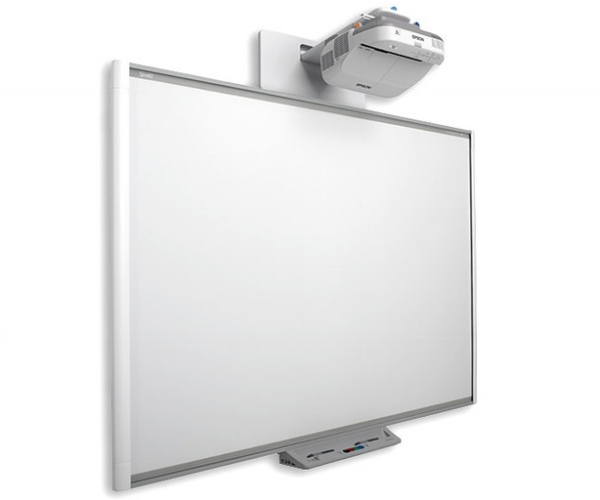 Advanced Classroom Technologies has partnered with the most influential brands in interactive whiteboard technology. The company that started the IWB revolution is still committed to focused learning, intuitive design and optimal control. Dual touch freestyle interaction. SMART Learning Suite. 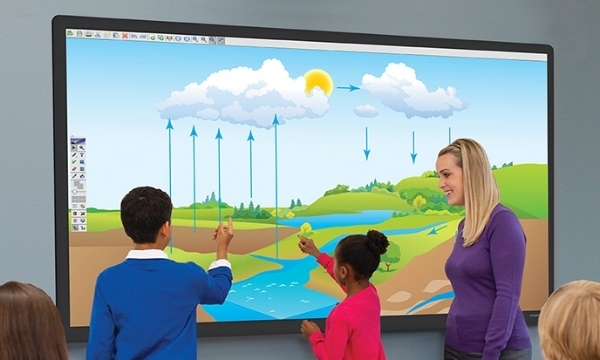 Smart's most user-friendly interactive whiteboard. Less curve, more learning. A cost effective solution to integrate interactive technology in the classroom. 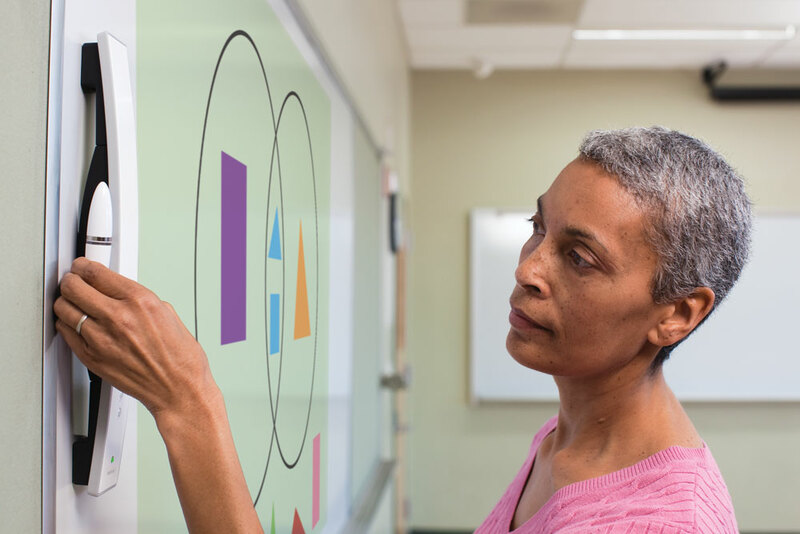 Turn any whiteboard into a touch board using the MimioFrame touch board kit, allowing a teacher and multiple students to work together with 10-point Touch 360° interactivity—making collaborative learning at the front of the classroom a reality. The MimioFrame can be set up in minutes with a pre-existing whiteboard, projector and computer.